Having a great invention, idea, or creation can be advantageous; however, it needs to be commercially protected. In doing so you also can assist in maintaining and releasing its value. Each copyright infringement lawyer at our firm understand the laws, rules, and complexities of patents, trademarks, and copyrights. Not only have we helped thousands of people register their intellectual property, but we have also guided them through the licensing process to ensure the commercialization of the idea is recorded in the most viable and appropriate manner, such as a licensing agreement. To learn more, please call Dale Jensen, PLC. Our team of copyright infringement lawyers has extensive experience in this area of law, but are also well versed in technical and practical issues which may be at the core foundation of your intellectual property. This knowledge sets us apart from other firms and can be an asset to your IP, your rights, and monetary interests. A licensing agreement for any piece of intellectual property is a contract between the owner of a certain IP and another party. The owner (licensor) grants permission for the use of their IP to a party (licensee), as set forth by any provisions laid out in the contract. In return, the licensor will generally receive royalties, or an agreed to sum of money. 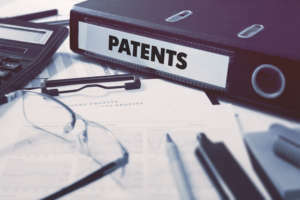 Whether you already have registered your patent, trademark, or copyright, or are ready to get started, the lawyers at Dale Jensen, PLC can help. To schedule a consultation with a copyright infringement lawyer Charlottesville, VA clients recommend, call our office today.